This tutorial is going to explain you how to deal with warnings that can appear just after Joomla template installation. Strict Standards warnings are not errors and they do not impact the site functionality. 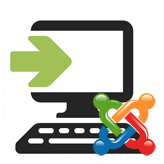 Joomla extensions were written for PHP 4 and PHP 5. Mostly PHP 4 code caused these warnings. It is not possible to change all the code to new rules set in PHP 5.3, PHP 5.4 or newest immediately) – e.g. if some extension has over 50.000 lines of code. So, these are messages for developers and such messages should not be enabled on a production site. Notices are neither warnings nor errors. When a PHP Notice occurs, it just tells that some PHP code could be written in a better way. Nothing is wrong, remember that. The code could just be optimized a bit better. But this is just a suggestion, it’s not a requirement. However, if a PHP Warning or PHP Error occurs, the situation is more serious. When a PHP Error occurs, the PHP script stops right away and you will have a problem. But with a PHP Warning, there is no error yet, but the PHP engine thinks there might be one soon. In both cases, it’s better to contact our Technical Support Team via the chat or submit a ticket for them. Log into your Joomla admin panel as super administrator. 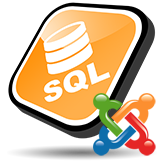 Navigate to Site -> Global Configuration and open Server tab. 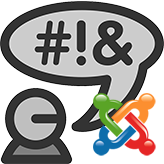 Find Error Reporting option and change its value to Simple or None. Don’t forget to save the changes. Log into your Joomla admin panel as administrator. Navigate to System -> Global Configuration and open Server tab. Now you can refresh your site. The errors should disappear and your site will look properly. This is the end of the tutorial. Now you know how to deal with warnings that appear just after Joomla template installation. This entry was posted in Joomla! 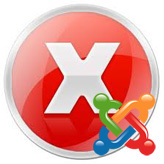 Tutorials and tagged installation, joomla, warning. Bookmark the permalink.